We speak to Barbara Babcock, wellness coach extraordinaire, to put a spotlight on coaching and how it can help. 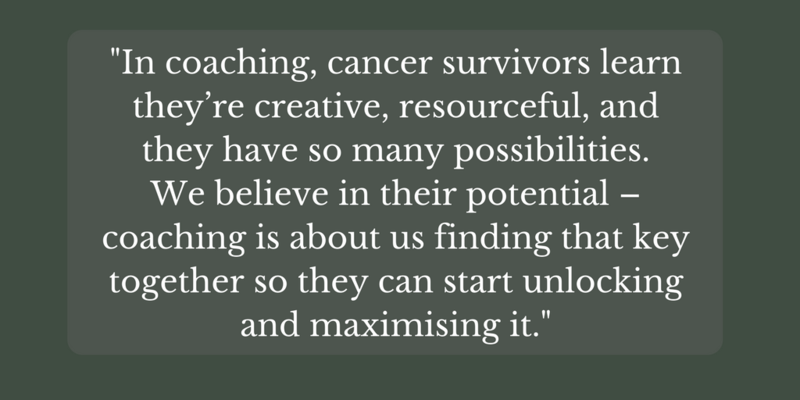 So what would cancer survivors gain from coaching? Coaching offers a safe place for people to get in touch with their feelings – positive feelings but also the negative. Both are part and parcel of the human experience. Experiencing absolute terror and panic is very normal whilst facing cancer and after. Coaching is about allowing people to get in touch with that, without letting these feelings overwhelming them. I often say to clients, ‘You don’t have to unpack and live there.’ Facing your mortality is a really big thing to address and honour. I’m a big believer in post-traumatic growth. After cancer, how can we grow from that? What does life mean to us now? How do we get the most from it? How do we want to live it in a way that is right for us? Coaching also gives you the opportunity to answer these questions and plan to live your life in a new way. 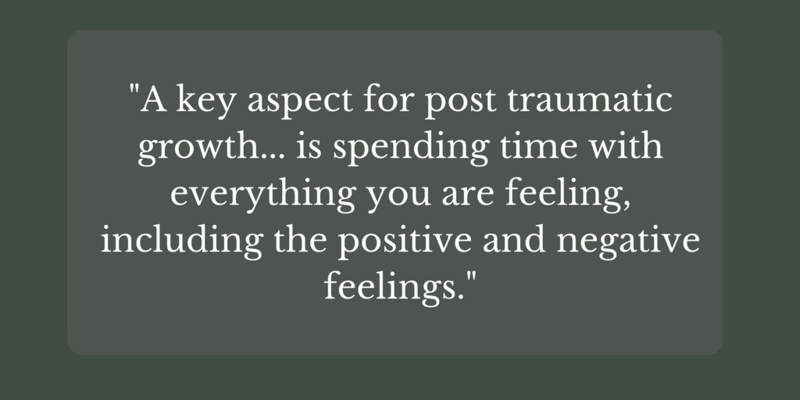 Post Traumatic Growth is something that really fascinates me and I’m sure it’s the same for other survivors. But how do you make sure you follow the path to growth and not to distress or trauma? And how can coaching help you move in that direction? A key aspect for post traumatic growth when moving forward with one’s life after cancer is spending time with everything you are feeling, including the positive and negative feelings. It’s important to get in touch with them - that panic or terror. They’re coming up because they’re asking you to spend time with them. Sometimes people use control strategies, when actually it can get in the way of living the life they want. So I notice when these are going on – these vicious cycles that aren’t helpful – and I will point them out to clients. And it’s about changing this to a virtuous cycle – around thoughts, feelings, and behaviours - getting people to practice that. It’s also important to identify what you value and what you consider is important in your life, so you can be sure going forward that the decisions around how you’re choosing to spend your time, and who you’re choosing to spend that time with, are aligned to your values. That brings a lot more meaning and purpose to our lives. I’ve spoken to a few different coaches who specialise in cancer, and it seems like you all have different approaches – is that what you’d expect? Does each coach have their own different approach? Absolutely! One of the things I learnt in coaching training was that who you are as a person is who you are as a coach. As every person is different, every style of a coach is unique. So how would you describe your style of coaching? Firstly, I’d say I’m very purposeful and I focus on having very purposeful conversations – what does the person want to be different in their lives, whether it’s about work, how they feel about themselves – any aspect of their life. And it’s really about fleshing that out – where are they now and how they want to be different. That helps them to imagine what it’ll be like when things actually are different. Secondly, I focus on what’s called somatic work, how we feel in our bodies… there’s so much information going on there. We should be thinking, ‘What’s going on in our bodies and what do we feel about it? Is this feeling helping me or not?’ Not just focusing on what we’re thinking, we can be very cognitive people in our society nowadays, but also taking a holistic approach. I think sometimes as a society we can be very cognitive, we just focus on what we think. By focusing on what we feel too, that is taking a holistic approach to change. If people are only focusing on the negative that’s all they’ll feel in their bodies, so of course they’re not going to feel good. So we consider what positive feels like as well, because that can be an anchor to use when approaching new situations. Lastly, I’m a big believer in helping clients establish a strong psychological foundation. So they feel safe, strong and sure within themselves to go out into the world and interact. What got you in to coaching? Interestingly enough, I never had a coaching session prior to starting my training. I worked in learning & development in the corporate world so it was all about equipping people with the softer skills to do their jobs. And I was delivering those kind of courses – questioning, listening, giving feedback. I was really good at these individual skills, knew coaching required these skills and so I wanted to study coaching for that reason. I didn’t fully grasp the power of coaching until I started the training though. It packaged all these different skills and how you can use them together in a very powerful way. But also, I did my first coaching training when I was still recovering from a serious rare neurological illness and that plus my background in adult learning really helped me come to terms with the illness and how it changed me. You did a masters on top of the original six month coaching course didn't you? Prior to doing the masters I did a six month course, which was my original qualification. With the masters, the key driver for me was wanting to understand the difference between coaching and therapy and I also wanted to bringing a deeper psychological underpinning to my practice. I was getting clients bringing very weighty issues and I wanted to be equipped with the competency to work with them. What would you say the difference is between coaching and counselling? First the similarities – we use the same skills – we ask thought-provoking questions and we listen. We read between the lines and reflect that back. We give feedback to the client, offering gentle challenging. A key difference I found is that in coaching, the purpose of the work is made very explicit at the start of coaching and in each coaching session. So you go into therapy thinking these are the issues I have that I want to change. And then when you come up to your sessions and the therapist says, ‘Ok what do you want to talk about today.’ What you answer might have nothing to do with what you wanted to get out of therapy in the first place. In coaching there’s always a purpose to the conversation and that’s in relation to the client’s goals and what they want for themselves. Focusing on the purpose naturally leads to action, whereas in therapy I found that happened a lot less – less focus on the purpose; less focus on the action. There are other important differences too like the focus of time. In therapy, you tend to focus on historical issues for present day problems. In coaching, we focus on the here and now and where you want to go. Therapy is very good, don’t get me wrong, but I found clients come to me after therapy saying it didn’t lead to action. What I describe here is my personal experience of being in therapy and training with therapists. Not all therapists may work in the way I described here. Say a survivor got in touch with you. What would happen? What can they expect? Coaching is still quite new and therefore unknown. In some ways I think this prevents people from seeking out and working with coaches. The first thing I do is have a chat and ask – where are you right now in your life? Where do you want to get to? How do you imagine working with a coach? What could I do that can help you? What will get in the way? We’ll also look at what they’ve already done – what has worked and what hasn’t worked. That is the important starting point. These questions will help me to understand if coaching is the best intervention, or whether another intervention like a training course or therapy would better suit their needs. I explain how I work as a coach. I might give specific examples of issues I’ve dealt with working with others that may be similar to their issues, so they can get a sense of me. If, as we talk, they raise issues that I’ve written a blog about, I will send them links to the blogs. If they choose to work with me, I take them through what I call the Wheel of Wellness and I take them through different issues where they want to make change. This becomes our guiding light, so to speak, the purpose of our work. That might change through the process of talking together. But they can also download this from my website right now. It’s called the wellness assessment and they can do it on their own and revisit it in the future. As to how many sessions, I have three packages – a one-off session, a 4 session package and the other is ten, which is particularly geared for people still in treatment who want to work together over a longer period of time. The four session is usually good for addressing one or two topics. If there are three or four, then I’d design a package to suit their needs. It would usually be about six sessions. What would an ‘issue’ be? Would you say something like ‘anxiety’ was an issue, or would you say a certain thing you want to change like your job. Can you get any help with funding from the NHS, or other government bodies? Health coaching isn’t widely available across the NHS. It is happening in pockets. For example, if you live in Dorset, they have a great health coaching programme called My Health My Way – you can work with a coach and I believe it is free. There is another one in the Horsham area. Or if you live in Surrey, they have the Fountain Centre at the Royal Surrey County Hospital (Guilford) which also offers coaching. However, many times you have to pay privately. It would be great to see the health service promote coaching, particularly in the absence of other support after treatment. Wait times for counselling compound issues. There are good initiatives in the NHS, where they are training clinicians in coaching, so they’re bringing these skills to their appointments. It’s great that they’re getting training, but we need to work with individuals that attend these appointments so that they get that help too – it’s support from both sides. So how much would it cost per session, or series? It depends on where you live. Costs in London are higher, if you outside the M25 it gets cheaper. In London it might be £100-150+ an hour. Outside, it might be £60-80 per hour. Do you offer coaching over skype? Yes, skype, telephone, or if they’re in South West London, I have an office here where I meet clients face to face. So if someone wanted a series of sessions over Skype how much would that cost? My initial package is a 4 session package which is £430, with four and a half hours of coaching. Or people can do one off session of 90 minutes for £125. And I guess when people are returning to work, employers could pay for the coaching? I tend to do 6 x 90 minutes sessions, so it is slightly different there. In that case, I’ll speak to the sponsor in the organisation, so I know what they are hoping for from the coaching. Sometimes, individuals claim back the money from their employers and see me privately and then I’m not in touch with the organisation. Is coaching available on private health insurance? What would you like people to know about coaching? The repeated feedback I hear from clients is that they feel really listened to and believed in. Coaching is all about maximising potential. Someone who has been through the experience of cancer might feel their body is broken and that they're emotionally all over the place. But in coaching, people realise they’re none of these things. They learn they’re creative, resourceful, and they have so many possibilities. We believe in their potential – coaching is about us finding that key together so they can start unlocking and maximising it. It’s very powerful and enlightening to experience that. 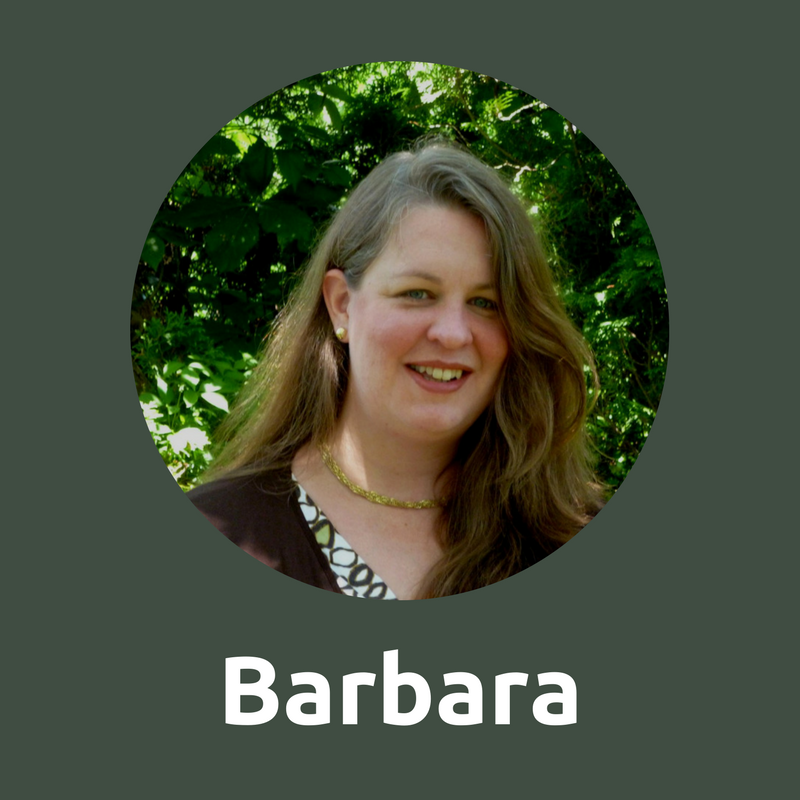 Barbara is Babcock is a health & wellness coach, facilitator, researcher and adult learning specialist. 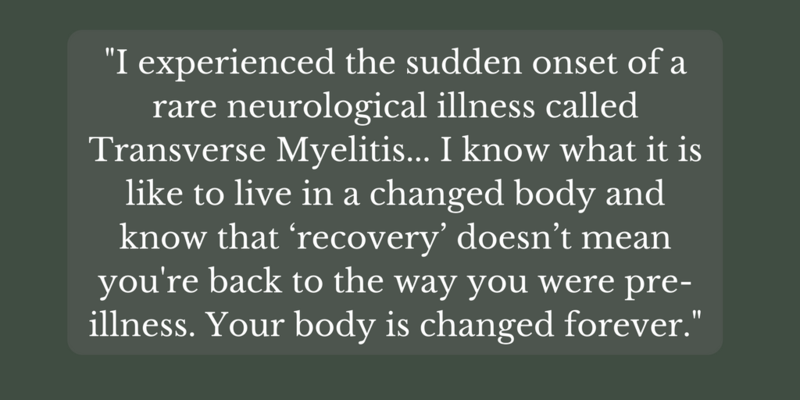 Go check her out on her website Return To Wellness Barbara faced a rare neurological illness herself, called Transverse Myelitis, which has left her with ongoing invisible symptoms - so she 'gets it'. If you feel you have a mountain to climb or feel ‘stuck’ and have determination and the willpower to want to take your first steps, I would strongly recommend health coaching. Be prepared to be open and honest and be aware that emotions may become overwhelming and distressful. And be prepared to work at it. I am learning to focus on what I can do now, and although I still have a mountain to climb, I can tackle it in smaller chunks. I am more positive and less fatalistic. I am able to recognise anger. I am now able to move on. I am managing fatigue. I have resumed physical activities and registered for a one-mile open water swim. I no longer feel ‘stuck’.